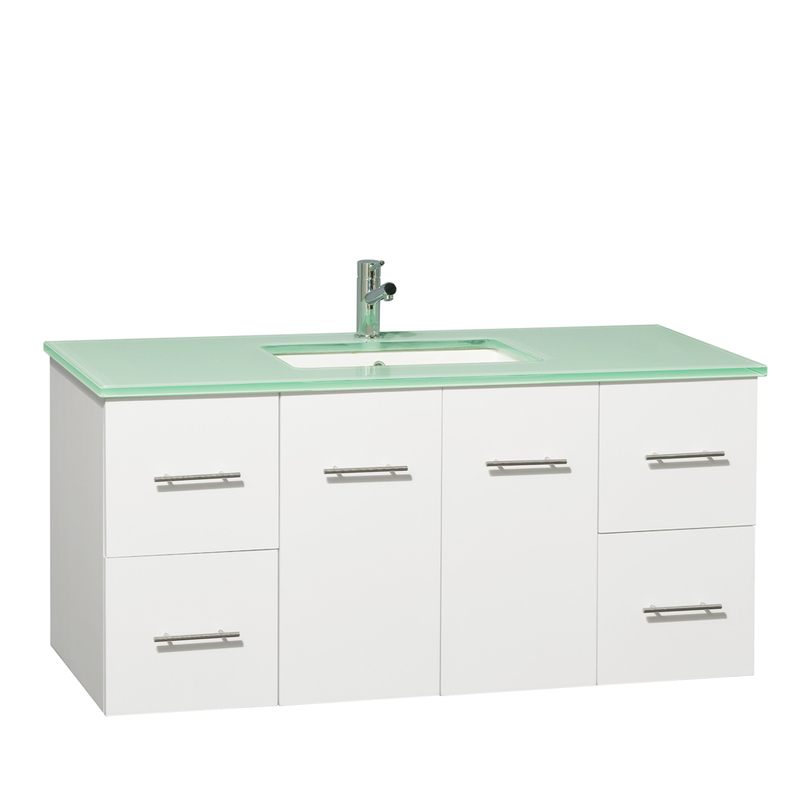 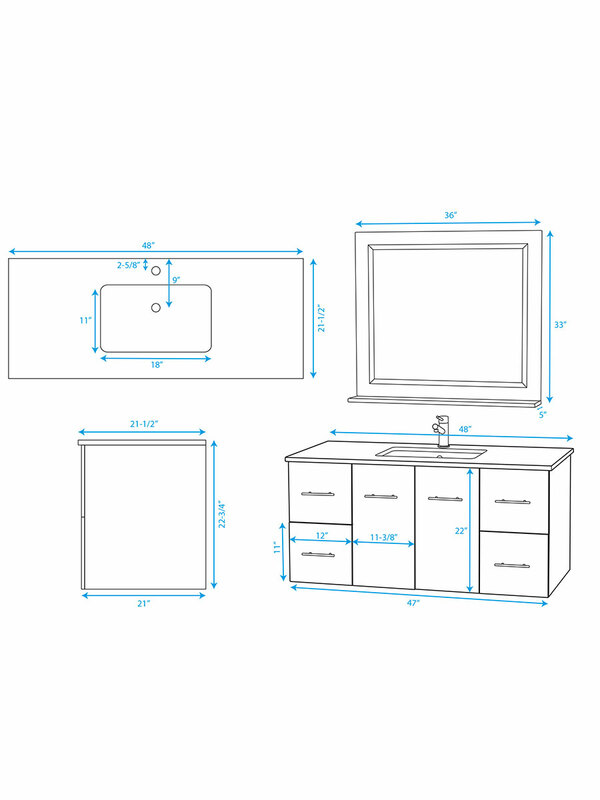 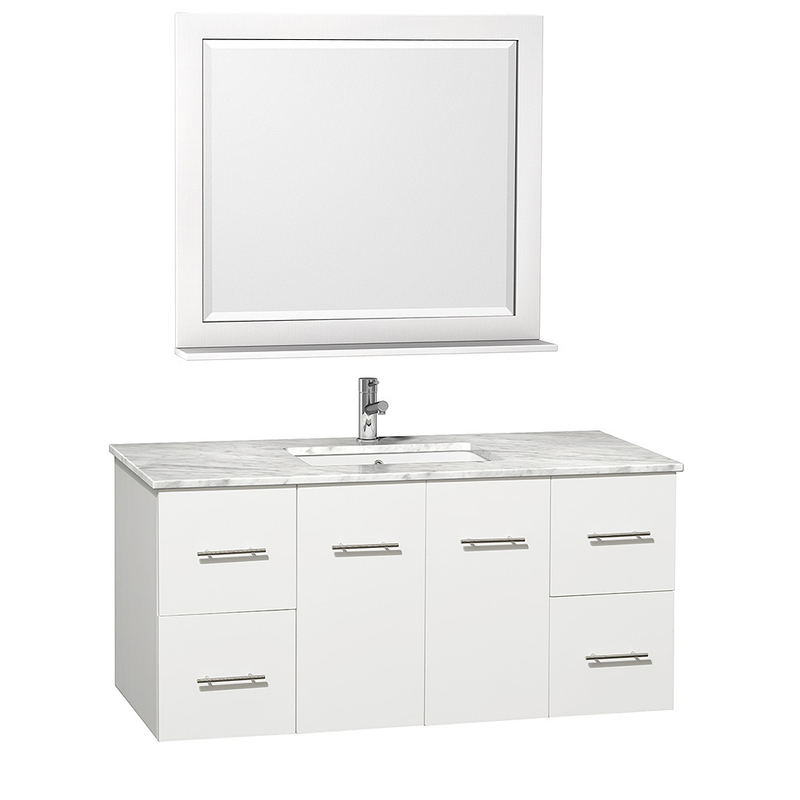 White, wall-mounted, and absolutely gorgeous, the 48" Zentra Single Vanity is a wonder to have in any bathroom. 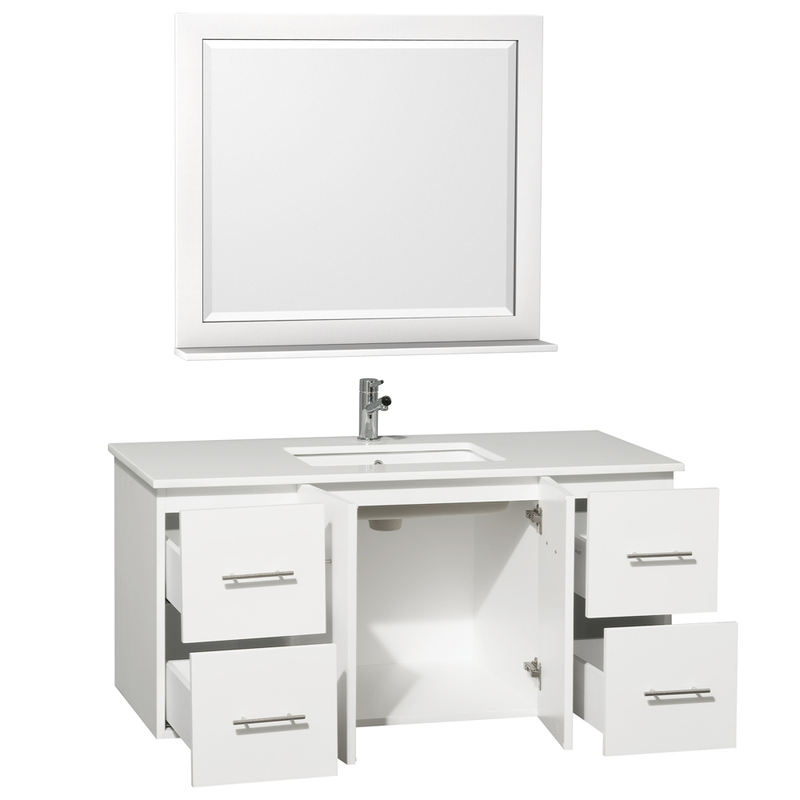 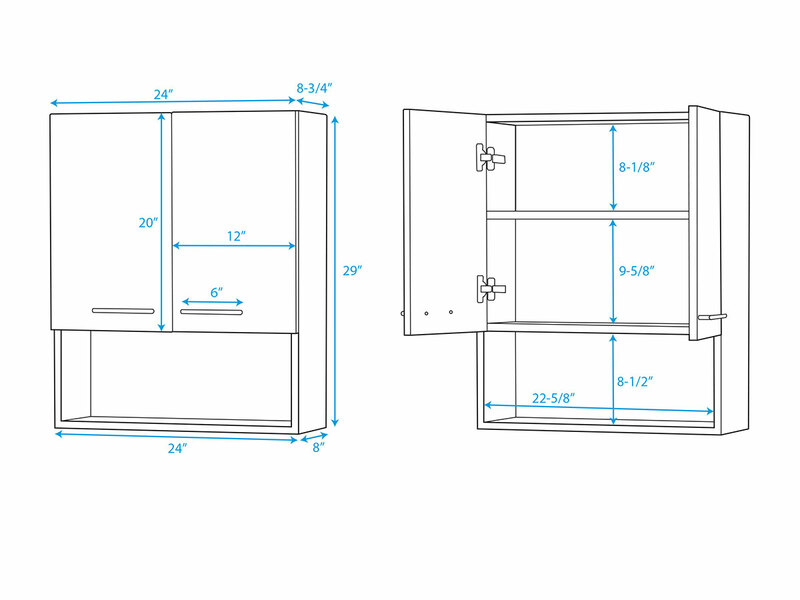 Its soft-closing hinges and slides, along with a solid oak cabinet, makes this vanity a durable vanity that will last a lifetime. 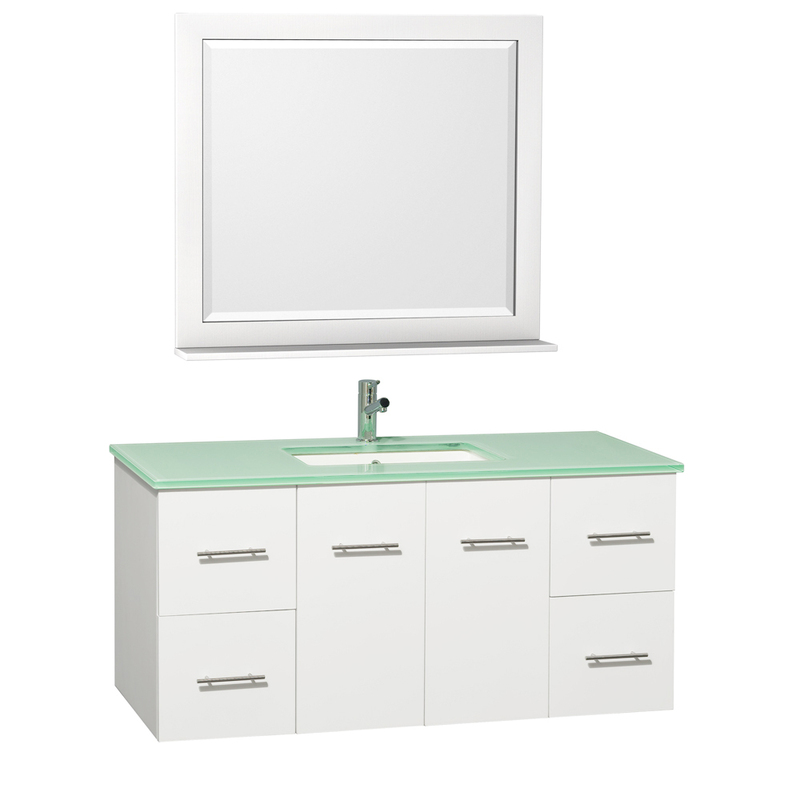 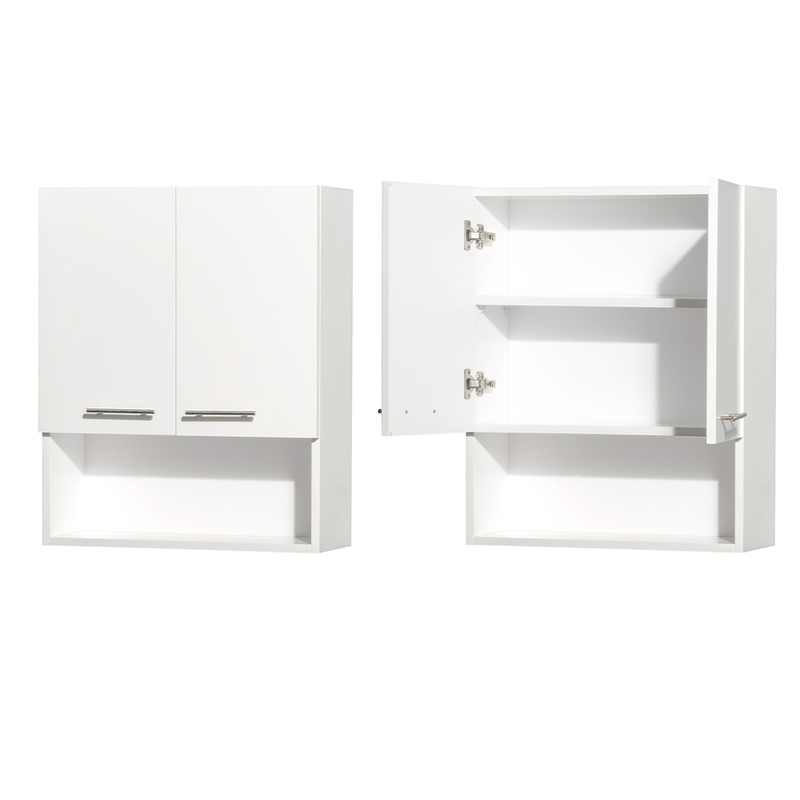 The white finish is complemented by Brushed Chrome hardware and is matched with any one of four great top options - included Green Glass, White Artificial Stone, Ivory Marble, or Carrera White Marble. Comes with a matching mirror.